Since we had our little one, we don't watch movies as often as we did in the past. Hence, when there are special movies that are on, we prefer to watch at a nice place like Gardens Mall. I believe the ticket price is slightly more than the regular movie cinemas, however you will appreciate the comfortable seats and premium feel of the place. 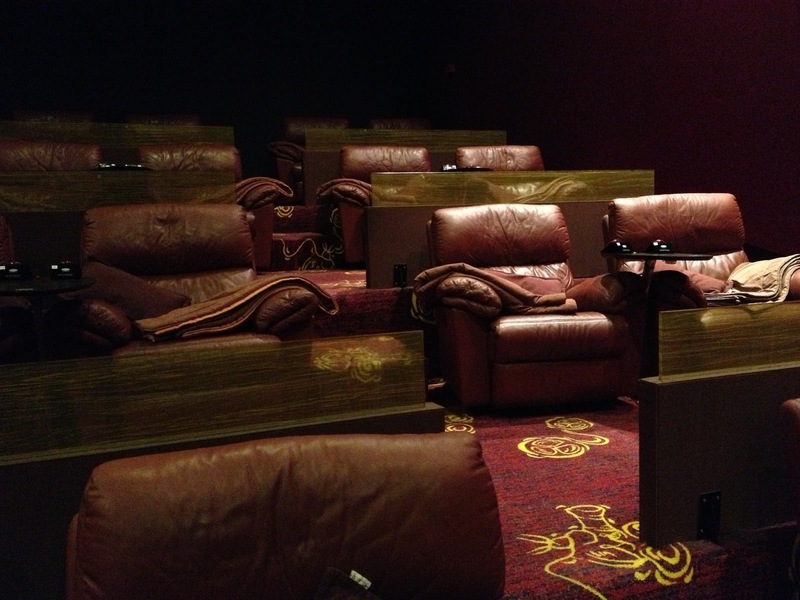 We did try the Gold Class once and you will fall in love with their lazy boy seats. It is really comfortable and comes with a "waiter" service and call button. Your drinks and food will be delivered to your lazy boy seats (equipped with a table of course). 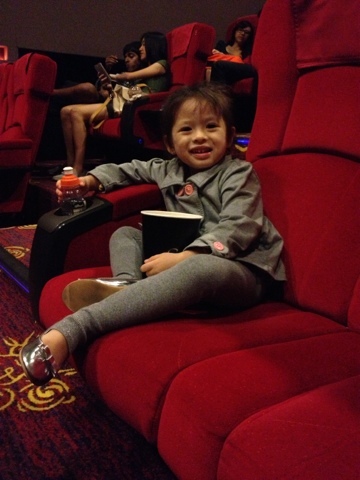 Our regular movie watching will usually be at the Premiere seats. 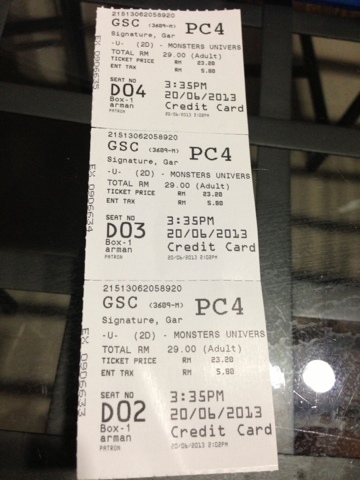 For 3 people I paid RM87 -- this is when we watched the recent Monster University with my little one. She totally enjoyed the experience. I was afraid that 1 hour and 50 minutes for a cartoons movie will be too long for a 3-year old, but I was proven wrong and she enjoyed it. One of her fond memories of it is eating popcorn while watching. Love the seats at the Premiere because it is segregated two-by-two. This is the small Cinema 4. Slightly higher price than other places, but worth it. Gold Class seats at Gardens. Each seat comes with a blanket to ensure comfort!